Architecture is a broad field and has no shortage of creative, talented professionals. Yet, many architects like to specialise further – some focusing on designing office buildings and others specialising in environmentally sustainable structures. Yet, there is another specialty within architecture that is particularly important. By choosing a career as a hospital and clinic architect, you will specialise in designing buildings that cater to the health care needs of patients and professionals in Britain. An architect is someone who designs buildings and related structures. They also assess the appearance of existing buildings and structures, which allows them to ensure they are safe and that they reflect the purpose, needs and desires of the people who utilise the premises. Creating a welcoming, efficient health care environment is crucial to ensuring a hygienic, seamless and successful premises for operation. A hospital and clinic architect will understand the challenges of a hospital operation – perhaps having an original background in health care – and will be aware of the spatial requirements for a successful hospital or clinic. In general, architects can work independently or within architect firms. 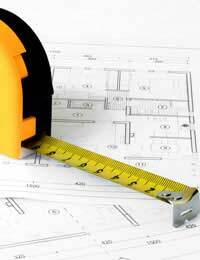 You might work with a number of different architects in various specialties. Perhaps you would focus on hospital and clinic architecture while another colleague would specialise in architecture for non-profit organisations. The pathway to becoming an architect is relatively stringent in comparison with other health care careers. However, the time spent studying for a degree is well worth it. Most architects will have studied for an undergraduate degree in architecture while others will have graduate work in the field. Architects will be professionally registered and licensed, having completed their education, passed qualifying examinations and completed an appropriate work experience practicum in the field. The job outlook for architecture is excellent, particularly in the rapidly growing health care sector as buildings need to be updated or newly built to accommodate Britain's growing population. Wages for architects range a great deal, generally starting in the twenty thousand arena but doubling or more for highly regarded, award-winning architects. Architecture requires a great deal of responsibility – more so when it comes to designing buildings and related structures for hospital and clinic operations. You will need to have the ability to understand each client's unique needs and budget for a project. You will also need the creative and computer know-how to make drawings of the proposed structures and present these to the client. Similarly vital will be your knowledge of building codes and all applicable laws and regulations pertaining to the construction. As a hospital and clinic architect, you will definitely need to participate in continuing education as well as staying abreast of the latest trends and developments in modern, sophisticated architecture. Your continued learning will ensure that you can stay at the top of the field. Designing a hospital is not just about creating the most efficient, modern and functional space possible but also doing so within government budgets. Not only that, but architecture is a field of aesthetics as well, of course, which means you will need to design something that your client – and you – will be proud of for years to come.